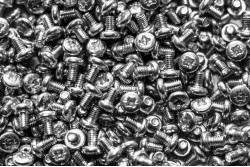 32 different machine screws and tapping screws for use into metal or plastic applications. All in a handy box together with a screw driver that fits all the contents. 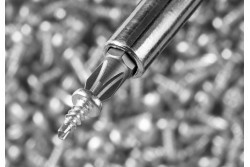 The brochure shows our full range of tiny screw solutions. It also has technical information on machine and different options of tapping threads. 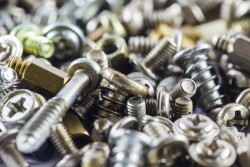 Screws & turned parts with threads as small as M0.4 made to order as per specification. Tight tolerance is not a problem as our quality is world class.